Welcome back! The calendar in this part of the world says it is now autumn. Someone needs to inform the weather who doesn’t seem to know we’ve moved on from summer. We had a “yellow alert” day this week due to heat; that means people who have breathing issues, the very young, and the very old need to take care to protect themselves from high temperatures. While the vulnerable around here were told to take precautions, I am certain it was the vulnerable who were on the minds of the Israelites in the wilderness in the Exodus passage. Moses had led them to a land where water was scarce and fear for the vulnerable among them – and their own vulnerability – turned to anger, and they grumbled against Moses. Paul was not a stranger to grumblings, and so he encouraged the Philippians to guard against the discord brought on by grumbles by strengthening their bond in Christ, remembering his self emptying. 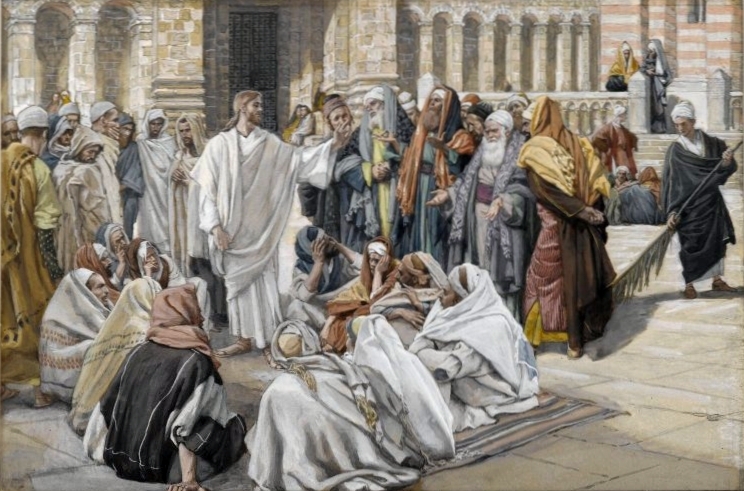 In Matthew, the chief priests and elders grumbled because Jesus undermined their authority, so they challenged him on it and were challenged by Jesus in return. In each passage, someone is called to obey God at the cost of their own ego. Temperatures are high outside and in the Scripture for this Sunday. Let’s try to find some relief from the heat. As we began working on this passage, David said, “Didn’t we do this not too long ago? I remember suggesting making a rock out of paper and hitting it with a stick.” He was right! We had this passage as the Old Testament lesson for Lent 3 Year A! We gave some thought to simply recycling that work and then looked at it again and managed to find new stuff! In EYE smart, we think you could illustrate the dryness of the wilderness climate by referring to all those movies, cartoons, and television shows where someone (the hero, usually) drags across a hot, barren landscape. Check out the worksheet for a list. 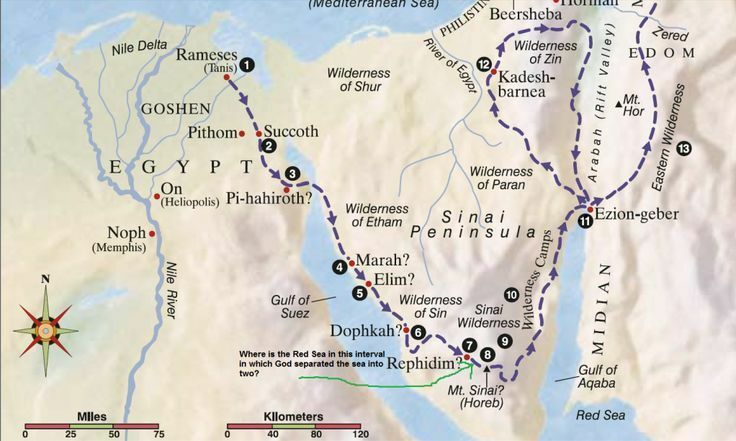 For a special effect, get out a map to show where Rephidim is located in the Sinai Peninsula. Then have a map of your area available for people to mark a point of no return – the place where they realize they are not going back home. Our illustration and special effect for BODY smart is a repeat from Lent 3 Year A. For NATURE smart, we link to the clean water initiatives from Lent for special effects and for an illustration, we link to an episode from PRI’s Science Friday. In PEOPLE smart, we consider the issue of trust; when and how can we trust leaders and what must leaders do to earn it? Union is a major theme in Paul’s writing to various Christians. Being and staying together is important for support and witness. Paul knows how difficult it is to manage this feat, and so he frequently exhorts fellow Christians to look to Jesus as an example of how to manage it to the best of their ability. In EYE smart, we have a special effect that visually demonstrates Jesus’ self giving in the Incarnation. Be certain to have good lighting for this effect, backlighting would be best so the color in the water is revealed. We have some math equations to illustrate Paul’s hymn to Jesus, especially verses 7 and 9. Being united may not be as difficult as we think; in BODY smart, we link to a study about synchronized brain activity. To demonstrate union, try a group lap sit! For MUSIC smart, if you don’t already have the soundtrack to Frozen memorized, here is a chance to get one of the songs into your head. The Vietnam War has been showing on PBS lately and one interview in particular struck us as a good PEOPLE smart illustration. Listen to the podcast to hear it. In SELF smart, we have a question about emptying oneself. Here’s one way to make one. Here’s another way. Try a group lap-sit. Here’s how to do it. Jesus had come to Jerusalem, and now that he was in their territory, the chief priests and elders decided to have it out with him. Using the direct approach, they challenged him about the authority he claimed to do “these things.” Rather than mount a defense about “these things,” Jesus countered their question by asking about the authority his cousin John used for baptism. Rock, meet Hard Place. To illustrate the difficult situation in which the chief priests and elders found themselves using WORD smart, you could try some trick questions. To demonstrate competing ideas of authority, hand out the multipart definition and ask your congregation to identify which one is operating in this story. 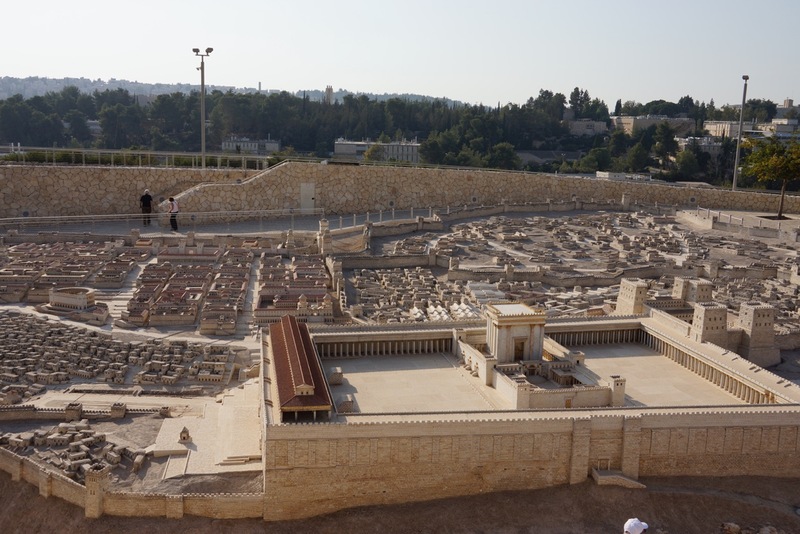 For EYE smart, we have some clips to help illustrate this scene as well as some pictures of the temple in Jerusalem through artists’ eyes. We have a song for MUSIC smart, and in PEOPLE smart, we have some illustrations about how to deal with interruptions, both in the classroom and in worship. We have an idea for a group discussion about trust for PEOPLE smart, and a question or two for personal reflection in SELF smart. does Jesus utilize a trick question? 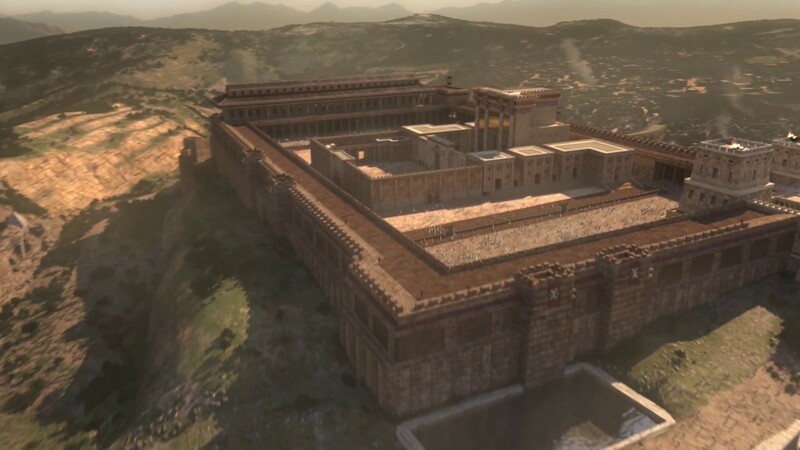 An artist’s rendering of the temple. 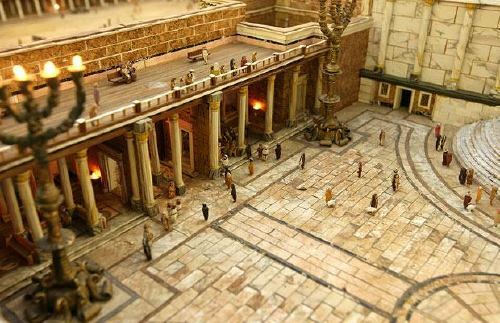 A 3D model at a museum in Jerusalem. A wider angle of the model. Englishman Alec Garrard has made a model, as well. Image Credit: Copyright: idspopd / 123RF Stock Photo. Used by permission.